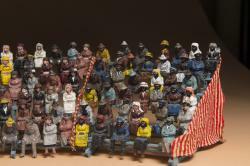 Built over the course of forty years by W.J. 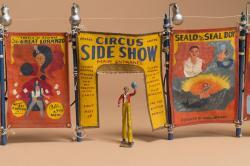 “Windy” Morris (1904–1978) of Amarillo, Texas, the Morris Miniature Circus is a 3/8”-scale circus model that was acquired by the museum in 1984 and exhibited in 1986. 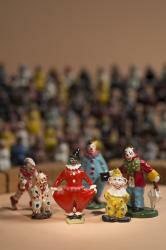 In 2016, the museum will restore and install the Circus once again. 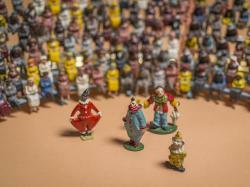 After 30 years, the beloved Morris Miniature Circus returns to the Museum of International Folk Art. 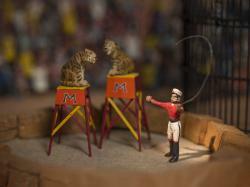 In 2016, the museum will restore and install the Circus once again. 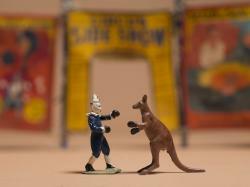 The Morris Circus is modeled after a 1930s “railroad circus,” back in the days when a circus would come to town by rail, set up in a day, perform for a local audience, then pack up and move on to the next venue. 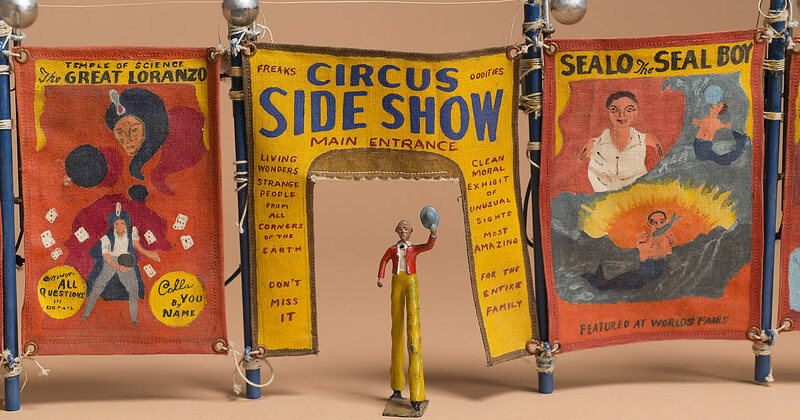 Morris fondly remembered the excitement that accompanied the arrival of the circus of his youth—with its steam calliope, horse-drawn circus wagons, and parade of performers and animals—and sought to preserve those memories when he began the Morris Circus in the 1930s. 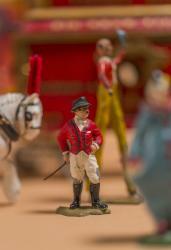 The Circus consists of an estimated 100,000 pieces, all made by Morris through a variety of techniques from woodcarving and painting to clay modeling and mold making. 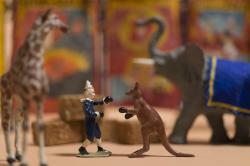 The return of the Morris Miniature Circus will be accompanied by a range of activities and public programs.